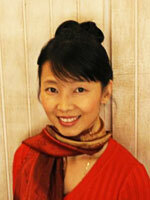 Lily Kong is Country Director of Silva Method Malaysia and Health Essentials Asia Sdn. Bhd. She is a Certified Silva Method Instructor, licensed under Silva International, Inc. USA since 1996. She is honored to be given the privilege to be trained under Jose Silva, the founder of the world recognized Silva Mind Method programs. Lily is also a practicing Clinical Hypnotherapist. She interfaces with people from all walks of life and ages. She had successfully facilitated the restoration of clients clinical conditions. Many of the success stories of clients with dysfunctional habits, anxiety, stress-related illnesses, pain management and personal development issues are testimonies to the clinic. 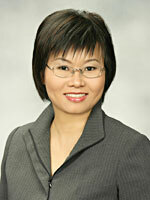 Since 1990, her work and experience in the field of brain-mind sciences had garnered her recognition from her peers. She has been guest speakers at many national and international conferences and business forums. She was a guest speaker at the World Conference organized by IFTDO (International Federation of Training Development Organizations) in 1997. Clients consulted and trained by Lily range from senior directors, managers, business owners, working professionals, undergraduates and students. Amongst the list of satisfied clients are BenQ, OTEC, Vibracon, eLOCK, Khind Industries Bhd, Universiti Malaysia Sabah, ESSO, Victory Team, Natural Marketing, Aident Corporation Sdn. 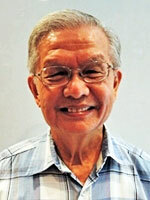 Bhd., Robert Bosch (SEA) Ltd.
Lily Kong has authored numerous audio books; "Empowering Dreams to Reality", "Creating Health & Healing" and "Breathe". 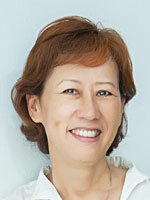 Ms Lily Hor is a trained hypnotherapist. Using hypnosis in an ethical, safe manner she can help bring benefits to clients who wish to reduce stress, overcome anxiety, enhance work or sports performance, improve self-image, manage weight, stop smoking, get rid of unwanted habits or phobias, overcome insomnia and in general, modify behavioral responses. She help clients draw up a personalised Therapy Plan which includes coping strategies, self-hypnosis, specific therapy techniques and leading a healthy lifestyle. Today with hypnotherapy, she is able to "Empower Individuals" to move on and ahead. Theresa brings with her a whole range of expertise & skills acquired through more than a decade of service & self-investment in the fields of Psychology, Self-Empowerment, Brain-Mind Optimization, Public Speaking/Communication, Leadership, Motivation & Self-Esteem/Confidence from many top local & international trainers including: Dr AJA Peters, Bob Proctor, Anthony Robbins, Zig Ziglar, Robert Kiyosaki, Andrew Matthews, John Foppe, Anne Jones, Dr Lawrence Walter Ng, Mr. Gerald Green, Dr. Denis Waitley, Dato' Lawrence Chan K.P., Joane Brady and Silva Method's Ms. Lily Soh, Kain Samiya & Mr. Hans DeJong. Well versed in many personal development techniques, many of her clients and students lives' are transformed by her skillful facilitation, and from the knowledge and training she gained from her Psychology Degree (Upper Iowa University/HELP University College), The Dale Carnegie Course, The Toastmasters, NLP, Enneagram/ Personality Study, AsiaWorks (Family training), SoGR (ref. Wallace D. Wattles) & PRH International (Fr. ), and her substantial personal experience. Theresa's clients and students also benefit from the skills she acquired as a Certified Stress Management Consultant (International Assoc. of Counselors & Therapists, FL, USA) and her experience conducting Stress Management at the Work Place workshops. She is also trained for Advanced Psychosocial & Mental Health Interventions for Refugee Populations under MSF/ 'Doctors without Borders,' and for healing trauma via 'somatic experience' / Energy Psychology (Dr Maggie Phillips, USA). Theresa has an International Instructor's Certificate in Astanga Yoga (Int'l Shivaananda Kendra) with TV appearance (TV1 Jun06 & Feb07 Stress/Yoga). She is a Reiki Master Practitioner, and Silva Method healer. She is a natural intuitive (clairsentient and claircognizant). Theresa is multi-talented: she holds a 1st DAN black-belt in Taekwon-do and is a prize-winning singer. A skilled public speaker and an emcee, she has held the position of Vice President of Education in the Speecom Toastmasters Club & is a Competent Toastmaster(CTM). She was an A student & she naturally brings out the best in kids and teenagers through individual sessions and workshops. She has conducted programs such as The StudySmart Program for Teens and the "Train the Trainer" Leadership Workshop. Theresa has a passion for helping others and has been involved in social work for many years, volunteering for organisations such as Women's Aid Organization, Malaysian Assoc. for the Blind, and Shelter, with press presence (Nanyang Foundation) in China Press, New Straits Times, & Nanyang Siang Pau. KK, a competent toastmaster, attributed his rich life experiences to his positive attitudes and his belief in continuous learning. Guided by his motto "Making A Difference", he is passionate in helping others to become better persons and better employees as well as living a happier life. He hopes to achieve his goals through his personal coaching practices and interactions. 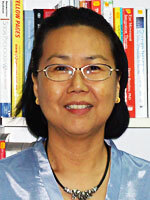 In 2002 KK co-authored with Ms Sheila Wong a book entitled "Groom or Broom - Your Image: Key To Success". Life / Executive Coaching: Discovering yourself - your talents and what you want - to make changes to get more out of your life! Shuen Lim's interest in Hypnotherapy was pique after learning Neuro Linguistic Programme (NLP) in 2002 with Beryl Comar while working in Dubai. Since then this initial interest has deepened into a strong professional commitment for her in the related field of emotional behaviour, hypnotherapy and coaching. Having previously worked in multinational companies across Asia, she is no stranger to work stress environment challenges and different cultural sensitivities. She advocates continuous education to develop her skills and deepening her knowledge for the benefit of her clients. Besides her client-centric professional expertise, Shuen is trustworthy and compassionate, committed to helping people change their world for the better. Shuen conducts her sessions in English and Hokkien. 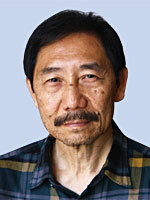 Alvin is a Silva Method Graduate in the Silva Life System and the Silva Intuition System. He has also completed the Banyan Hypnosis Centre For Training & Services, Inc. course of study in Mastering Hypnosis and is registered with the National Guild of Hypnotists, Inc as Certified Consulting Hypnotist. He is a certified 5-PATH (Five-Phase Advanced Transformational Hypnosis) Hypnotherapist and a certified 7th Path Self-Hypnosis Teacher. Since his early years, he has a passion for learning about health especially about the part the mind plays in determining the outcome of the physical health of a person. To this end, and after reading widely on this subject, he embarked on learning more by attending courses of such nature. Armed with the understanding and the personal benefits he has derived from these exposures, he now dedicates his life to propagating and teaching the Silva Method and to use hypnosis as an adjunct to bring about health and wellness. He firmly believes that, in order to live a healthier, happier, and more productive life, one has to start with a healthy mindset.